Vienna is a milestone in the history of international women’s movements for different reasons: its feminist organizational process; the inauguration of the recognition by the UN that women’s rights are human rights and that violence against women (VAW) is a human rights violation; the consequences of this recognition to international and regional human rights instruments, including international /regional justice courts; the impact of this recognition in national legislations, public policies and security and justice systems. The organizational process for the Conference is, in itself, a major achievement because it constitutes a successful example of how to connect what is already there, but needs to transcend local scenarios in order to have a world impact. In the early nineties, feminism was already a political actor through out the world, even if with different degrees of influence on the national arenas, The Center for Women’s Global Leadership (CWGL) did not create local feminist leadership but initiated an advocacy process that allowed for this leadership to be global and influential in the UN arena. And the tissue of this international coalition, the tapestry made of thousands of petition signatures from Africa, Asia, Latin America, Oceania, and Europe demanding that women’s rights be recognized as human rights, was hand made. Signatures were counted and classified manually. There was no internet when this fantastic work was done at the CGWL offices, under the leadership of Charlotte Bunch. I am proud to have been there at that time. My daughter Andrea, then a biology student at Rutgers, was a part of this process which marked her for life. She understood the power of international feminist solidarity and the utmost importance of drawing consensual strategies out of our diversity. The UN Human Rights Conference, held in Vienna in 1993, took place 28 years after the first Human Rights Conference in Tehran in 1968. This lapse of time is an indicator of the difficulty the UN had in dealing with this theme. Issues related to culture, religion, and traditions contributed to the conflicts of sovereignty and disagreements over particularism versus universalism in the application and understanding of human rights. Patriarchal values expressed in laws and institutions sustained the subordinate position of women in relation to men and the invisibility of VAW. Many governments strongly opposed the recognition of women as fully entitled to human rights. The Vienna Tribunal gave a platform to victims of VAW from around the world. It was a powerful advocacy tool and had a major impact on the Conference where a global network of feminists emerged as a key protagonist in this international arena. In the case of Brazil, the women’s movements arrived in Vienna with their homework already done. Our 1988 Constitution, written during the democratization process and with strong feminist participationfrom civil society organizations, labor unions, collectives coordinated with the National Council for Women’s Rights (CNDM) which I was then presiding. We were successful in including a constitutional provision saying that the state had the duty to prevent violence within the family. This provision expanded the reach of the state responsibility to what happened within the walls of the home, an unprotected territory were women were the most frequent victims of violence and impunity. The recognition by the Vienna Conference that VAW was a human rights violation strengthened the legitimacy of our Constitutional provision and reinforced the need for public policies to prevent and respond to VAW. Vienna was also important for the promulgation of the 1994 Inter-American Convention to Prevent Punish and Eradicate VAW (Belem do Para Convention), and for rulings of international and regional Justice Courts. Of particular note is = the 2001 condemnation of Brazil by the OAS Inter-American Human Rights Commission in relation to the failure of our justice system in holding accountable the perpetrator of an attempt to murder his wife, Maria da Penha). When a coalition of feminist organizations proposed a specific legislation on VAW in Brazil (Law 11340/06) – later called the Maria da Penha law – they were building not only on our Constitutional provision, but also on Vienna, the Belem do Para Convention, and the OAS Human Rights Commission ruling. There is a pattern of recognition of women’s entitlement to human rights that was opened by Vienna. This pattern needs to be invoked and celebrated today when human rights are under attack in many countries, including Brazil, as strong conservative groups attempt to impose patriarchal values and an authoritarian monolithic morality often based in religious extremism. In this text I am using women in plural because I recognize our diversity in terms of race and ethnicity, social class, sexual orientation, gender identity, age, place of residence, nationality and many other conditions, such as those dictated by migration and refugee status, that have a direct influence on how we experience, de facto, that women’s rights are human rights. However, this is a dangerous time for women, a time that demands cross-generational dialogue and consensus building out of our diversity. Vienna is an example of how important it to draw common strategies out of our diversity. 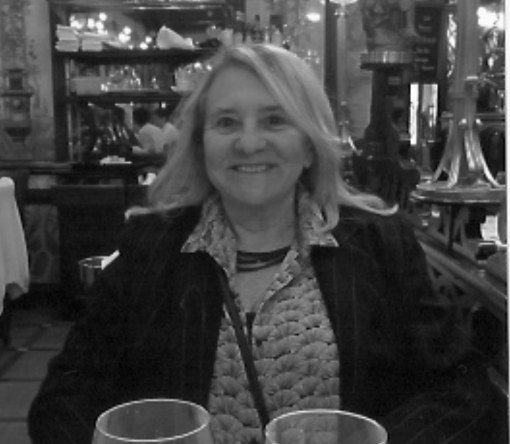 Jacqueline Pitanguy is the founder and executive director of CEPIA, a non-profit dedicated to promoting human and civil rights in Brazil, especially among groups historically excluded from exercising their full citizenship. She is also a sociologist and political scientist, and was a professor at the Pontifícia Universidade Católica do Rio de Janeiro and Rutgers University. From 1986 to 1989, she held a cabinet position as president of the National Council for Women’s Rights (CNDM), designing and implementing public policies to improve women’s conditions in Brazil. In 1990 she founded CEPIA, Citizenship, Studies, Information and Action, a non-governmental organization based in Rio de Janeiro, and has been its executive director since then. She is also the president of the board of the Brazil Fund for Human Rights.